Are you wild about the country? This property is located central to shopping and area lakes. With a 90 foot indoor water slide (open during scheduled weekend hours-contact hotel for details), an oversized pool with water basketball, and various arcade games, the kids and kids at heart are sure to have fun. After all the fun in the water, enjoy a book and fresh baked cookies in the lobby. Eating time, no problem, the Country Inn & Suites offers free delivery from Green Mill and in the morning you'll wake up to a free continental plus breakfast. 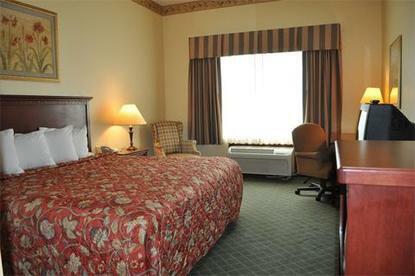 This facility also includes free wireless high speed internet (Ethernet connection available also), free guest laundry, a 24 hour retail store, the Wild About the Country meeting room, a fitness center, and a great staff to provide outrageous guest service So whether you're coming to Willmar for recreation, business, or you just want to hang out in a wonderful city, Country Inn & Suites would like to say, welcome home. DVD rental available at Movie Gallery.